We believe everyone should have a decent, affordable home to live in. Our core business is to bring empty properties back into habitable use in order to provide affordable homes for people in housing need. 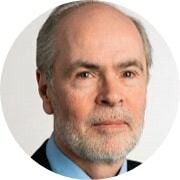 Danny is the founder of The Equfund Group and has more than 35 years of experience in property, and the financial services and insurance industries. In 1986 he cofounded The Homebuyers Advice Centre, which grew from a partnership to PLC status and was the first financial services Franchisor in the United Kingdom having over 45 offices nationwide. In 1996 he led the acquisition of Portman Home Loans, part of the Portman Building Society group. This later became Equfund (RTB) Limited; a Local Authority registered provider of mortgages under the Government’s Right-to-Buy legislation. During 1996 to 2000 Equfund transacted over £700 million of new mortgage business. In 2000, he established Equfund (IPS) Limited, an Industrial & Provident mutual society for the benefit of the community. Here, he is responsible for business development, financial management and the overall strategic direction of the Society. He is a keen advocate of social impact investing and, under his leadership, ensures that the Society remains a flexible and responsive organisation operating within a challenging environment. Among his proudest accomplishments was assisting to establish The Homesavers Charity, which aims to provide accommodation for people in housing need. Danny sponsored the start-up costs of the charity and sits on its advisory board. Each Christmas the charity distributes 1,000 survival packs to rough sleepers. In 2012 he was recognised by the Empty Homes Network for his work in bringing back long-term empty properties into habitable use, receiving an award at the Empty Homes Practitioner of the Year awards. 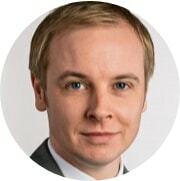 Andrew is a Director of Equfund and heads its Property Team. With a strong knowledge of the residential property market he is in charge of the acquisition, refurbishment and disposal of the Society’s properties; overseeing each housing project to ensure that the necessary financial and human resources are in place for the Society to meet its objectives. He began his property development career after studying at the world-ranked Lancaster University Management School. Andrew enjoys traveling worldwide with his wife and two children; is a consultant to several start-up businesses, is joint owner of an award winning café, a keen photographer and an avid coffee drinker. Karen is Equfund’s in-house solicitor. A highly experienced property litigation solicitor she deals with, amongst other matters, lease renewals, tenant disputes, forfeiture, general property management work and other issues arising from property transactions. 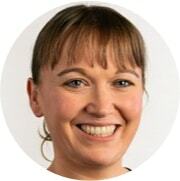 Karen qualified in September 2002 and joined Equfund in March 2014 having previously worked at two national law firms gaining a wealth of experience in property law. She is a keen runner, and last year completed the Yorkshire Three Peaks Challenge as well as a number of half marathons. Karen is also a Trustee of the Wirral Autistic Society.